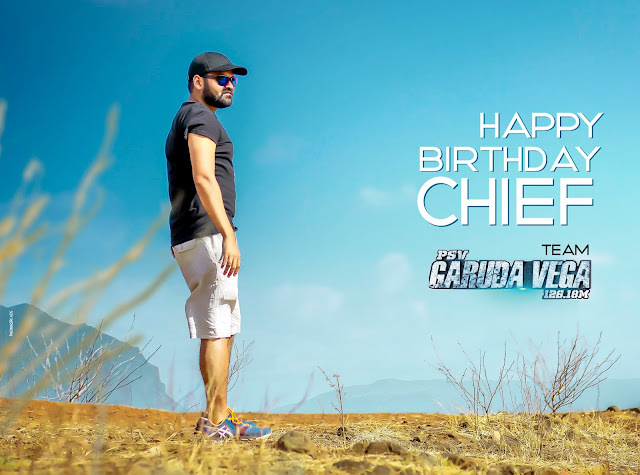 Praveen Sattaru, the director of the National Award-winning 'Chandamama Kathalu' fame, is now making 'Garuda Vega'. Starring Dr. Rajsekhar, Pooja Kumar and Kishore in key roles, the film is one of the technically most advanced films to be coming from Tollywood. In this interview, the birthday boy talks about the film's making, why the high budget was necessary, and more. What is Dr. Rajsekhar's character in the movie? He is playing an NIA officer for whom the call of duty goes beyond the conventional working hours. The NIA was formed in 2008 after the Mumbai 26/11 attack. While we read about terror conspiracies getting busted, the film tells what goes into cracking down on planned attacks in advance. You will see Rajsekhar garu in a role which you haven't seen in any of his films in the past. What drew you to the this aspect? The Vyapam scam has seen the disappearance/death of 40 witnesses. Just imagine how all this must have been masterminded. Behind every terror attack too, the masterminds make for an interesting case. So, is this what makes your film unique? What happens before a terror op is busted, how the masterminds are identified - these are all interesting stories to know. The unknown is curious. The script was first conceived in 2006. The NIA element was infused later. It takes time for a script to evolve. That said, 'Garuda Vega' is not a film that comes with a terror backdrop. Where does Pooja Kumar's character fit into this scheme? She is playing the lead man's wife. Since investigating officers have to keep everything secret, even from their partners, they may have to lie at home before leaving for their assigned destination. How Rajsekhar's character balances his personal and professional life is explored. Somewhere, he gets into a mess and a whole lot of developments happen. We felt that Pooja Kumar is best suited for the role because she has that maturity. She has also proved herself in 'Vishwaroopam'. How did you come to choose Dr. Rajsekhar? Firstly, I believe that story should pick the actor, it's not the other way round. Out of a handful of scripts I had, I picked up this script for Rajsekhar garu. To me, 'Magadu' is his best ever. I can't see him in 'Gorintaku' and such movies. I put forth the script, which they liked. Kishore is playing a villain named George. How has he performed? Since the days of 'Chandamama Kathalu', he has been dear to me. The intensity of his eyes is special. Where all has the film been shot? Georgia was where the first schedule was shot. We shot in Thailand for 25 days. We also shot in Malaysia, Singapore and Indonesia. The film has got 1.5 hours of action sequences. We didn't compromise anywhere regarding quality. The film has got heavy CG work. Is the film saying any message? What message did 'Guntur Talkies' have? 'Garuda Vega' is a suspenseful action thriller. Even if there is a message, it would be subtle. There is no hard and fast rule that a message has to be there. People have to connect to a story at the emotional level. In the process of developing the idea since 2006, what have you learnt? As an individual and a creator, a director grows over a period of time. You learn how to tighten your screenplay, how to convey a thing in less time, etc. You also have to mold yourself as per the script. I couldn't have made 'Guntur Talkies' by being in 'Chandamama Kathalu' hangover. Similarly, I couldn't have made 'Garuda Vega' had I continued to be with my previous film. Isn't the budget (Rs. 25 Cr) too huge? It's true that a producer would think before investing that much. If the script has got worth, it's fine to spend what is necessary. When we were done with the first schedule, the producer's confidence in the project grew. The release and promotions too are going to be befitting. Timing of release is crucial. If the timing is good, a mediocre film can do Rs. 40 Cr of business. If not, even a worthy film will fail. If the right film releases at the right time, sky is the limit. We are planning to release 'Garuda Vega' in end August or the beginning of September. This is a kind of film everyone - be it kids or elders - will love. Why did five cinematographers have to do the film? A cinematographer for different episodes shot in different countries. There were also issues, like the first cinematographer had to leave because his father wasn't doing well. Anji, Gika Chelidze, Bakur Chikobava, Suresh Ragutu and Shyam have worked on the movie. Sricharan Pakala and Bheems have composed the songs, the latter of whom has done Sunny Leone's special number. Are we going to see you do high-budget films only from now? I may be a Rs. 3 Cr movie next. It depends on the script. Budget shouldn't decide the range of a director. Tell us about your biopic of Pullela Gopichand.